Bali and Lombok are two islands that lie very close. The two islands are separated by the sea. Although these two islands are separated by the sea, but the characteristics and culture of the two islands are almost the same. Bali and Lombok has a very enchanting natural beauty, especially the beauty of the beaches and the underwater world. Bali popularity in the field of tourism and culture, have an impact on the existence and on the beautiful island of Lombok's unfamiliarity for vacation. When you are in Bali Indonesia, and want to visit the island of Lombok Indonesia, you do not need to worry about the problem of distance and how to reach the island of Lombok Indonesia. Many ways can be used to get to the island. You can use the sea route, using the ferry transportation, or can use the air line to the plane. 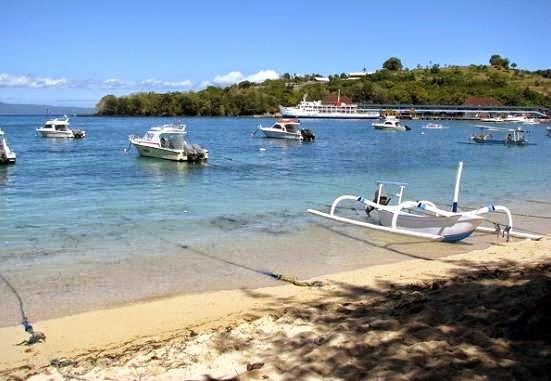 There are two ports in Bali to get to the port in Lombok. However, there is one airport in Bali to Lombok to the two airports. Surely it would be faster to use aircraft if you want to go to Lombok. The shortest distance between the island of Bali to Lombok, not as close as between Bali and Java. If Bali and Java have a very close distance, approximately 4.38 km, if traveled by regular ferry only takes about 30 minutes, in contrast to the distance between Bali and Lombok, which must be taken up with about 5-6 hours of normal time. Considerable distance if traveled by regular ferry. If calculated by the shortest distance between Bali and Lombok is approximately 37 km. 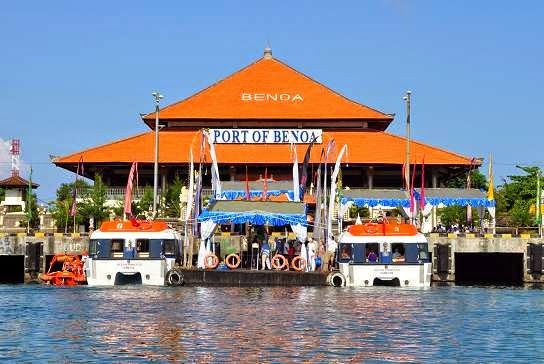 However, if the distance is calculated from the nearest port in Bali with Lombok, from Padangbai port in Bali with Lembar port in Lombok, located about 65 km, with ferry travel time of about 5-6 hours of normal time. So, you will be in the boat all day if using the sea route to Lombok, or vice versa. 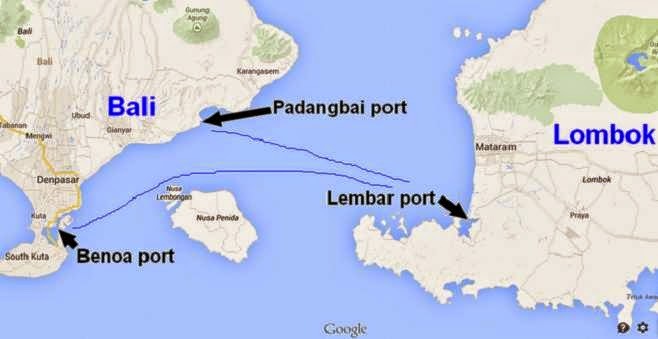 If from the port of Tanjung Benoa Bali is heading to the port of Leembar in Lombok, greater distance to the port of Padangbai. If the straight line distance Tanjung Benoa, with Lembar port, is about 94 km. However, if the calculated distance to the cruise line ship is approximately 100 miles. Distance from the airport in Bali to Lombok Indonesia. Bali Ngurah Rai Airport, heading to Lombok International Airport, or Selaparang Airport in Lombok. From Ngurah Rai International Airport heading to Lombok International Airport, the distance is about 25 km. From Ngurah Rai Airport to Selaparang Airport in Lombok is approximately 103 miles. 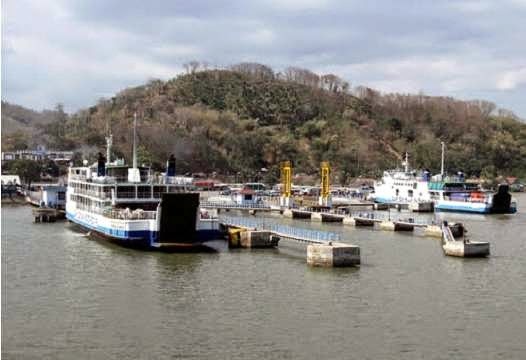 Usually, tourists and citizens in Bali who wants to go to the island of Lombok to use the sea route, with ferry, they headed to Lombok through Padangbali port. Padangbai is a village in the district of Manggis, Karangasem regency, east side of the island of Bali Indonesia. The city became the ferry terminal for the cruise to the island of Lombok, Nusa Penida, Gili Islands and other islands in West Nusa Tenggara.